01/01/19 - DeepGlobe team is organizing EarthVision 2019 at CVPR! 14/11/18 - An MLConf talk featuring DeepGlobe (talk, slides). 13/08/18 - DeepGlobe team organized "Maps, Urban Design, and Geocoding in Graphics" session in SIGGRAPH 2018. 21/06/18 - See you at CVPR! 12/06/18 - Are you attending DeepGlobe? Do you have questions to the panel? Fill the form. 11/06/18 - Workshop papers are online. 11/06/18 - DeepGlobe paper is featured in Facebook Research Blog. 04/06/18 - DeepGlobe is listed in Uber CVPR digest. 04/06/18 - IEEE GRSS features DeepGlobe sponsorship. 04/06/18 - DeepGlobe is mentioned in Kitware blog. 01/06/18 - ActuAI features DeepGlobe. 31/05/18 - DeepGlobe is in MIT Technology Review. 29/05/18 - DeepGlobe is in Clark's list. 27/05/18 - DeepGlobe workshop program is updated. 27/05/18 - Challenge results are announced, congratulations to our winners. 22/05/18 - DeepGlobe dataset paper is online. 01/05/18 - DeepGlobe challenges are up. 29/03/18 - Facebook announces DeepGlobe challenge and workshop. 13/03/18 - DeepGlobe website is up. We observe that satellite imagery is a powerful source of information as it contains more structured and uniform data, compared to traditional images. 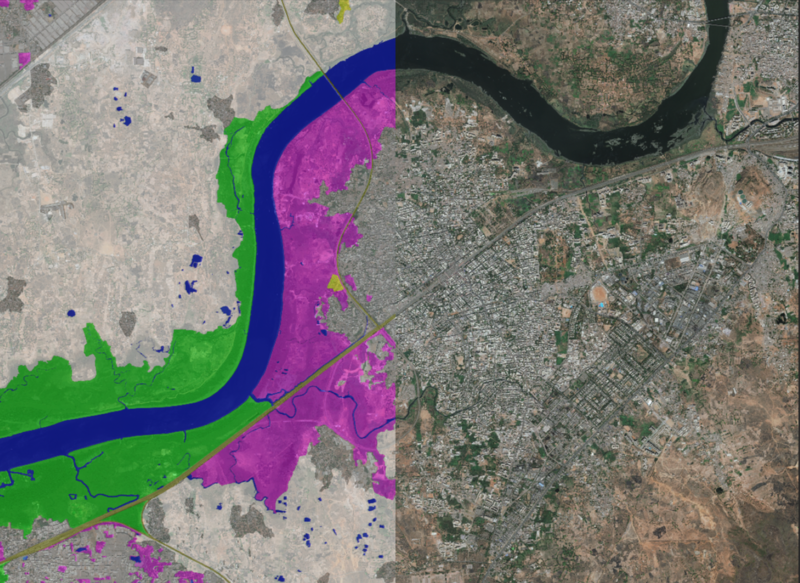 Although computer vision community has been accomplishing hard tasks on everyday image datasets using deep learning, satellite images are only recently gaining attention for maps and population analysis. This workshop aims at bringing together a diverse set of researchers to advance the state-of-the-art in satellite image analysis. To direct more attention to such approaches, we propose DeepGlobe Satellite Image Understanding Challenge, structured around three different satellite image understanding tasks. The datasets created and released for this competition may serve as reference benchmarks for future research in satellite image analysis. Furthermore, since the challenge tasks will involve "in the wild" forms of classic computer vision problems, these datasets have the potential to become valuable testbeds for the design of robust vision algorithms, beyond the area of remote sensing. Participants can submit to a single track or multiple tracks. We encourage all submissions including novel techniques, approaches under review, and already published methods. The first three places of each track will receive prizes. The winner in each track will give an oral presentation in DeepGlobe CVPR 2018 workshop, and the top five submissions in each track will be invited for a poster presentation. We will also publish selected papers in the proceedings of the workshop.